(Reuters) – Amazon.com Inc (AMZN.O) will launch a tablet computer this year to extend its position as the world’s largest Internet retailer, expand in mobile commerce and sell more digital goods, according to analysts and investors. Amazon plans to introduce a tablet with a 9-inch screen before October that will run on Google’s (GOOG.O) Android operating system, the Wall Street Journal reported on Wednesday, citing unidentified people familiar with the matter. An Amazon spokeswoman did not respond to requests for comment on Wednesday. 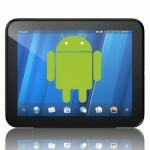 Analysts and investors have been expecting a tablet from Amazon for several months. The company’s shares hit a record high earlier in July, partly on optimism about the new device, according to Colin Sebastian, an analyst at R.W. Baird.